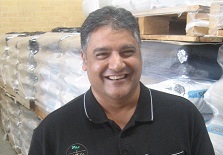 Floyd is well known in agricultural circles and with his passion for Agriculture and over 30 years’ experience in the sector Floyd is familiar with all facets of the agribusiness supply chain. Floyd’s broad experience and extensive contacts gives him the intimate knowledge behind what makes the rural sector tick and is able to make the linkages to successfully channel smooth customer business relations. Floyd’s keys roles within the business are to plan and implement our sales and marketing program and marshal ongoing business development activities. With his finger constantly on the sector’s pulse Floyd is a good point of contact for both the supply chain and farmers alike for all product promotional information as well as general product usage or application queries. 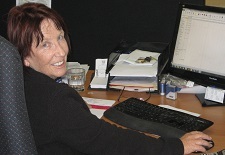 Robyn’s appointment as Office Manager in 2008 allowed Alosca to provide a new focus on customer service. Robyn’s administrative roles within the business are broad with her past customer service roles in the banking and agricultural sectors giving her great insight into what’s important to make the customer experience a good one. Robyn prides herself on providing exceptional customer service and administrative support and along with general transaction queries is the best contact for product pricing, availability and logistical queries.